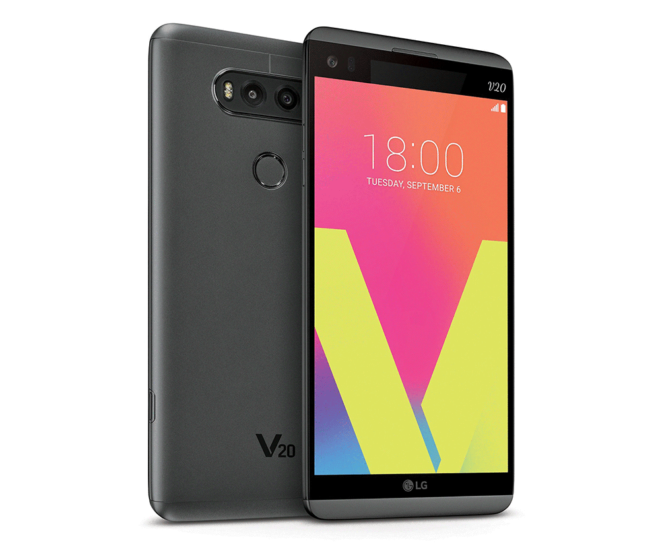 It’s been awhile since the LG V20 has gotten a software update, but that drought is ending this week. T-Mobile is now pushing an update to the LG V20 that bumps it to software version H91810k. 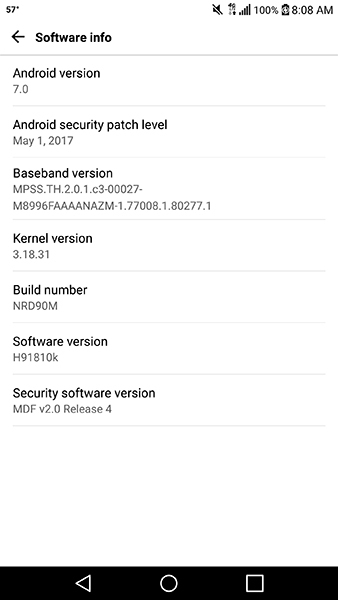 TmoNews reader AlwaysSmile got the update on their V20 today, and the phone is now on the May 1, 2017 security patch level. According to T-Mobile’s support page, this LG V20 update also includes an e911 timer fix and “various bug fixes and software stability improvements.” So this isn’t the biggest or most feature-packed update ever, but considering how long it’s been since the V20 last got an update, it’s good to see T-Mobile and LG push some fresh security patches and bug fixes to the device. If you’ve got a T-Mobile LG V20 and haven’t yet received this update, you can check for it by going into Settings > General > About phone > Update Center > System update > Check for update. Not on mine even without the update that i got today. Messaging was always fine never forced closed on me. I forgot what the messaging app is like especially after discovering Textra, its like the first app, besides Swiftkey, I make sure I have on a newer phone. You should try Android Messages. My stock app has been fine. Manufacturer apps are always crap. Try Android Messages (official Google messaging app). I’ve never had a problem. This is the first time in my smartphone history I’ve ever read an article like this, hit check for update, and on day one, it just started downloading. Best Tmo phone for the money ($480). Was even better when it was $360. Samsung sold the S7 even cheaper than $360 from them directly in March. lol May 1, 2017 security update and it is May 26, 2017. Man I love how crappy Android updates are on non Google phones. It would be a fairly simple process if they’d stop weighing phones down with unneeded crap. You know they have to test them right? Lol releasing in under a month is pretty good. the update is very basic just mainly security fixes. nothing major. Problem is all the crap company’s like lg and samsung put on top of android that needs extra testing. So what the security update fixed, you spent almost a month waiting to get the fix and are left vulnerable. This is not a problem is google phones. Honest question: do Google’s phones get these pretty much day one? Like May 1st? That shows when the update is finished and when it is Published. Looks like within 4 days of the 1st of the month every month. I own an iPhone but when I did have an android it was only a Google Device. Thanks! I was hoping it was 7.1 but I guess this will hold me over. Thanks! It’s a good news! Just got a software update this morning. It’s great that they updated the V20 but they really need to update it to 7.1.1. So anyone know what the bug fixes are? Nothing as of 1p.m. South Florida. Thanks for the bootloop, assholes.